The movie Titanic is one of the highest grossing films of all time released on the late 90s. So if you’re already born within this decade, you would probably know the story inspired by this ship and the fact how it sank down in the Atlantic. With this mentioned, who are the real life passengers and crew of Titanic? Find out by watching the following video. Titanic is a British passenger liner with a total capacity of more than two thousand passengers including its crew. On April 15, 1912, the whole world was shocked and saddened after news broke that the biggest and well-engineered ship sank just because of an iceberg. The catastrophe brought more than a thousand deaths and around 700 survivors. The number of deaths might possibly increase without an instant help from other maritime bodies. Thankfully, just after 2 hours after the ship sank, the Vunard Liner RMS Carpathia arrived on the scene and rescued about 700 passengers. Among those who died to include Jack Dawson, Titanic’s captain Capt. Edward John Smith and most of the ship’s crews. Due to the popularity of the unbelievable catastrophe, Titanic movie was created wherein the love story of two of its passengers namely Jack Dawson and Rose Dewitt became the center of the story at the same time highlighted the glamorous structure of the ship and how instantly everything got destroyed after hitting an ice berg. 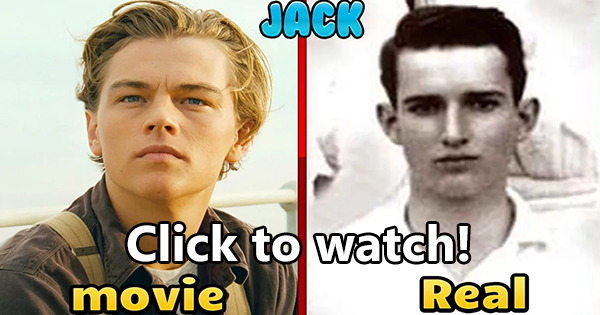 Going through the comments about the featured video, many netizens claimed that Jack and Rose are a just fictional character that their story was just incorporated into the movie for it to become more appealing to the audience.